Employment covered the Executive, Legislative and Judicial branches. Agencies included Md. District Court, Md. Dept. 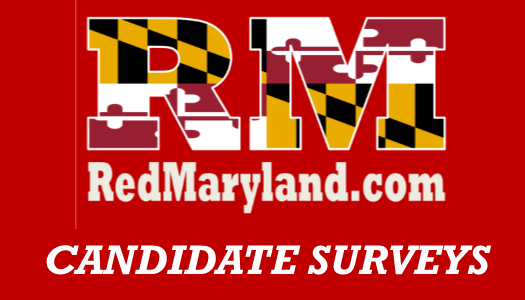 of Housing and Community Development and Md. Dept. of Business and Economic Development nka Md. Dept. of Commerce. I support Governor Larry Hogan. Common sense approach to governing. President John F. Kennedy. Public service is a worthy endeavor. Congresswoman Helen Bentley and Congressman Clarence Long. Americans seeking the American solution. Bipartisanship for a brighter future for Maryland. From a health perspective, opiods. Aging under ground infrastructure, safe schools and the need for mental health programs. Regarding abortion. I am happy every day that my parents brought me into the world to experience life. Regarding assisted suicide, it is a tragic sad way to end one’s life. “The problem is not that people are taxed too little, the problem is that government spends too much”. President Ronald Reagan. 2nd Amendment to the Constitution of the United State of America states a well regulated militia being necessary to the security of a free state, the right of the people to keep and bear arms SHALL NOT BE INFRINGED. A free people ought not only be armed and disciplined, but they should have sufficient arms and ammunition to maintain the status of independence from any who might attempt to abuse them, which would include their own government. Education is the KEY to one’s future. Regarding recreational marijuana, Maryland should study its impact in the several other states that currently approve of recreational marijuana. I have no experience regarding this topic. Lodging will depend upon weather conditions. Regarding the meal per day allowance, depends upon the work schedule. Currently the General Assembly is addressing this subject. Removal is an option as well as mandatory counselling.